We provide programs to educate people about healthy sexuality and healthy life habits. Contact us about setting up a session for your group. We offer presentations for small and large groups in homes, community centers, schools, faith-based centers, and social service agencies. 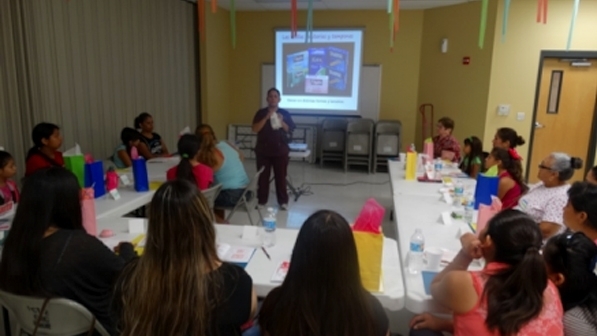 Our award-winning Entre Nosotros Outreach Project is one of the oldest reproductive health peer education projects in the U.S. Our promotoras (promoters of health) work with peers in low-income neighborhoods and colleges to teach people how to prevent unplanned pregnancies and stay healthy. Promotoras do door-to-door outreach, give small group “platicas” (talks), and work as client advocate in our health clinics. They also participate in dozens of community health fairs each year to promote family planning and Access Esperanza Clinics’ services. We bring families together to encourage healthy life habits for children and teens. Our 3-hour workshops cover age appropriate information on anatomy, hygiene, family communication, healthy habits, and decision- making. Teen sessions also include the basics on birth control and STD prevention and testing. We offer sexual health education materials to review or checkout. Contact us about our available brochures and curricula or visit one of our offices. Find locations and hours of operation here. 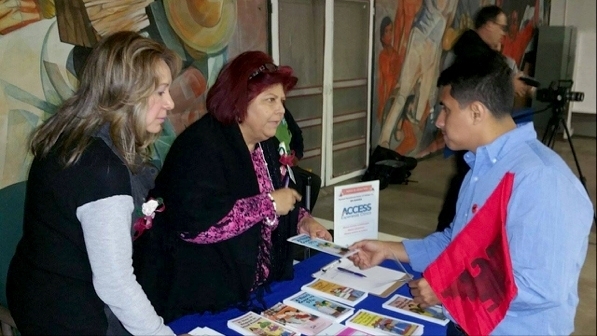 We have tables at dozens of health fairs and special events each year. Our family communication workshops bring families together to discuss healthy lifestyles. 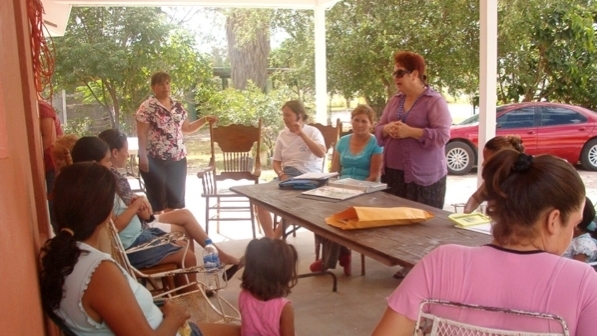 Promotoras reach thousands of people each year in door-to-door outreach and small group sessions.